This images was captured by Unique Moments Photography from Gig Harbor Washington. 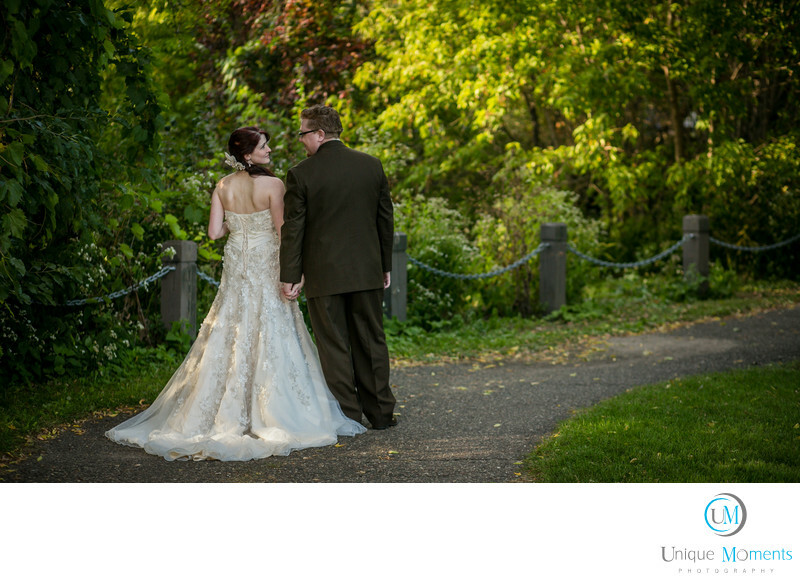 We loved it because of the back lighting and pretty location that it was captured in. This image can be captured anywhere as long as good lighting is considered. Back light always works and back light typically spells dramatic image. It was perfect for this couple as the groom hurt his knee and he was limited to what he could physically do.Pretty locations, good back lighting and off camera flash go a long way to help tell a story, especially if the groom is limited by a sore knee. most parks offer plenty on scenic locations to put your clients in for pictures. Use your surrounds to your advantage and make your clients Happy. Thats what wedding photographers are supposed to do. Location: 10301 Bujacich Rd NW, Gig Harbor, WA 98332.